Mining tycoon Gina Rinehart's net worth could climb as high as $100 billion. 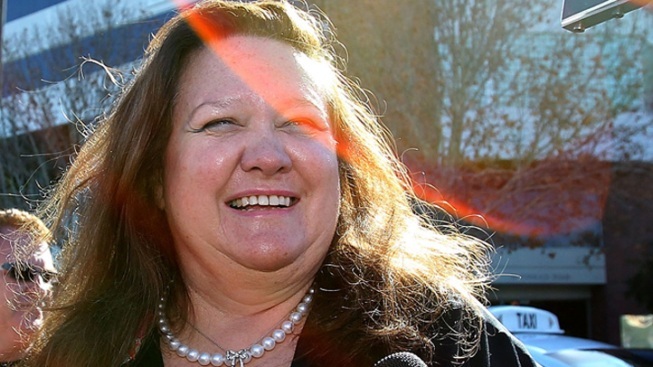 Chances are, you've never heard of Gina Rinehart. But her name ma soon be famous, if she becomes the richest person in the world, as some experts predict. Rinehart, an Australian who inherited Hancock Prospecting from her father, is now the wealthiest person Down Under, with an official net worth of $9 billion. But Forbes recently reported that the 57-year-old's holdings could soon be worth as much as $100 billion, which would make her richer than Bill Gates, Warren Buffett or Carlos Slim. "Rinehart is heading for a personal net worth valuation of more than $100 billion," if new projects pan out as expected, reported Tim Treadgold, writing for Australia's Smart Company. Rising iron ore prices and the ravenous Chinese market are driving Hancock's holdings into the stratosphere, according to Treadgold. He sifted through findings from Citigroup Global Markets mining research and found that if the company, of which she is sole owner, were valued the same way as publicly traded mining giant Rio Tinto, it would be worth $30 billion. And with three new mega-mines set to begin production, the company, already the world's fifth-largest mining firm, could soon be worth more than triple that much. Rhinehart is the widow of American attorney rank Rinehart. She was named Australia's first female billionaire in 2006, and became recognized as the nation's richest person by BRW magazine earlier this year. Before you think Rinehart was born lucky, consider this: Hancock was "in shambles" when her father, Lang Hancock, died in 1992, according to Treadgold. She built it into the huge operation herself over the last 20 years, he said.